For most business owners finding enough time to expand their business is impossible. 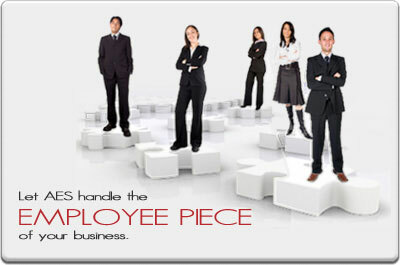 At Advantage Employer Solutions (AES), we take the burden of employee administration off of your shoulders. The services we provide allow you more time to focus on business expansion and your bottom line. Advantage Employer Solutions is a Professional Employer Organization (PEO) that provides employer solutions for employment-related functions including Payroll Administration, Human Resource Management, Workers Compensation/Loss Control, and Employee Benefits. Find out more about the benefits of outsourcing to Advantage Employer Solutions. AES will assist you with time consuming and risky human resource activities. We have our own department that will assist you with any employee issues that may occur. AES will assist you with minimizing the cost and effects of work place accidents. We can also help you prevent accidents by helping you develop a safety program. AES will assist you with employee benefits. We handle insurance and other employee programs. Create a successful company with good employee benefits. AES will take the burden of payroll processing and other administrative tasks off of your shoulders with the services we provide.